Experienced, Certified Electricians Based in Fairfax, VA. 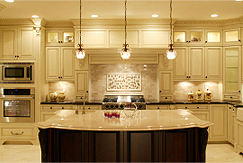 Proudly Serving Homeowners' Electrical Needs in Centreville, Fairfax and the Northern VA Area. Dependable One Electrical is a full-service electrical contracting business based in Fairfax, VA for residential customers. Our certified, Northern Virginia electricians have the training, tools and electrical experience necessary to handle a wide variety of services including electrical troubleshooting, electrical wiring repair, electrical fixture installation and electrical panel repair. We understand your need for thorough and reliable electrical repairs and installations and take pride in our ability to bring you the peace of mind you deserve. We're there when you need a quality electrician in Centreville, Fairfax or anywhere in the Northern Virginia area. Over the years, Dependable One Electrical has earned an outstanding reputation for quality service, value and electrical safety throughout Fairfax, Centreville and the Northern Virginia area. Dependable One Electrical electricians are equipped with state-of-the-art equipment and stay current on building codes and technological advances. Our highly trained teams of master and journeyman electricians are prompt, courteous and tidy in every electrical service they perform. When you need an electrical service done right, inside or outside your home, you can be confident in choosing a Dependable One Electrical electrician. "Because he informed us that a typical cause of house fires is the condition in which he found our circuits, we were grateful to have caught the problem early enough to avoid disaster and quite happy to pay the $145 to resolve the problem and gain important information about maintenance of a circuit board." "Excellent. His crew was punctual and went right to work. they were friendly and professional." "It would have been easy for the technician to replace both the ceiling fan and breaker and I would not have known the difference at twice what I paid, so I have to give them high marks for honesty. I had already purchased a replacement fan which I returned making my net cost effectively $0." 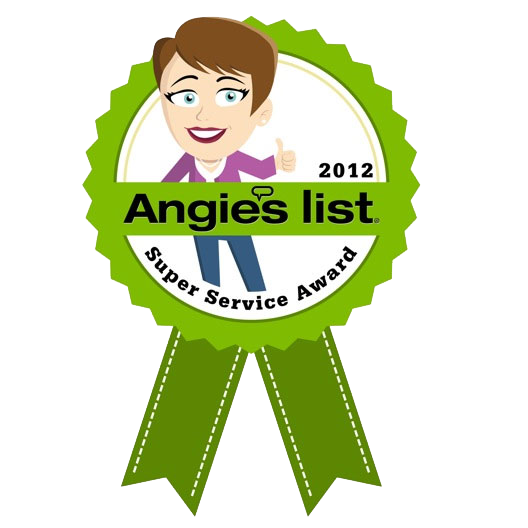 " Found Dependable One Electric on Angie's list under their "Super Service Award" section...and they really do deserve this rating. Quick, efficient and well worth the price. I will definitely use them in the future." "Absolutely perfect. Very professional and understanding. Cannot too highly recommend. They were the second company we contacted as our experience with the first company was totally unacceptable. We have written a review for them as well." "A great experience overall. I will definitely use this company again." "...both times a great experience. Got it done quick and to my expectations. Great company." "We were very pleased with the service..... I was very, very happy with their service." "He took care to protect my wood floors before beginning and he cleaned up the little debris there was after the work was completed. He is very knowledgeable and professional. He did a great job. I highly recommend him." "Excellent work. Very professional, timely and neat in their service . Have used them several times and have always been very pleased with their service. I would highly recommend them."